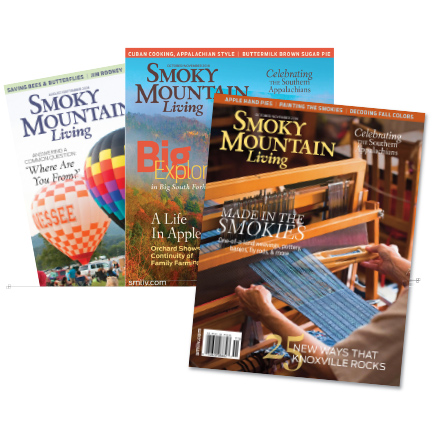 Smoky Mountain Living Magazine celebrates wilderness adventuring and urban exploration in Southern Appalachia. Each issue brings the Appalachians to life with a focus on its people, culture, music, arts, history and special places. Published six times each year, SML is a magazine for those who want to know more about where they live and those who want to stay in touch with a place they love. Complimentary Gift Name & Address (Optional). Automatic Renewal: Your subscription to Smoky Mountain Living shall be automatically renewed upon expiration using the credit card provided. You may opt out of auto-renewal at any time by logging into your account.